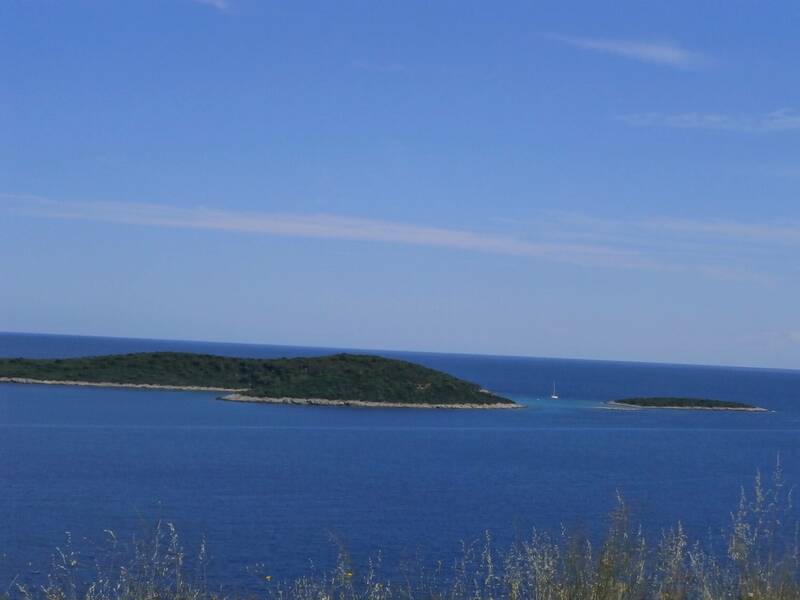 RAVNIK – a protected by law and unihabitated isle on the south-east side of the island, right next to Budihovac. On the isle of an unsual shape that reminds of a pengvin lying on its belly, there is the Green Cave, a deep opening on its south side. The cave has two large entrances, so you can enter it by a little bigger boats. It got its name after a green reflection from the sea, a result of numerous green alga. The sunlight comes through the opening on the top and makes beautiful effects. The isle of Ravnik is known for nesting of the yello-legged seagull.